This post first appeared on Beetles in the Bush on Christmas Day 2008. Two years have passed, but the sentiment remains stronger than ever. I reprint it here as BitB‘s single evergreen post. Merry Christmas! Merry Christmas - from our backyard to yours! They came from completely different backgrounds. She had grown up in a middle class family, her father an educated professional, her mother a professional homemaker – “Ward and June”, as their now-grown children jokingly call them. He grew up on welfare, the family breaking up while he was still in elementary school. She was a popular student – cheerleader, debate team, gymnastics. He was the introverted science nerd, invisible to the popular, living quietly with his books. Religion was an important part of her life, growing up Catholic and remaining devoted to the church. He grew up Catholic but knew even as a child that religion would not provide the answers he was looking for, eventually finding a private spirituality in the Creation itself. Despite these separate paths they found each other and fell in love, and despite their different lives they both wanted the same thing – a family. Such a simple desire, however, would prove to be difficult to achieve. When fertility drugs didn’t work, they turned to adoption. The first match failed. So did the second. They understood completely how the birth mothers could change their minds, but that didn’t ease their pain or calm their fears. Ultimately, they looked to Russia, a new democracy with old attitudes about orphans. In the fall of their 6th year of marriage, they learned that little Anastasia was waiting for them. They traveled to Russia before Christmas and became a family after New Years. In between, they visited little Anastasia every day – one hour at a time – and experienced the joy of being a parent, a feeling they had feared would ever elude them. On Christmas Day, they could not see little Anastasia, but in a small, gray apartment on the outskirts of Moscow, they celebrated her coming with their gracious host family. Ten days later, their family was born, and twelve months later they celebrated their first Christmas together at home. Christmas meant little to me for much of my life. Yes, it was a time to relax and enjoy the company of family and friends, and the presents were nice. But my own approach to spirituality has little in common with traditional reflections of the season. Tonight, as I watched 12-year old Mollie Anastasia laughing with her cousins, hugging her nanny and papa, and teasing her uncle and his partner, I thought back to those cold, snowy days in Russia when my heart became warm for the first time. I recalled our second trip to Russia six years later, when she and little Madison Irina each met their sister for the first time. On this Christmas Day, as I have done for 12 years now, I thought about how lucky we are to have these two beautiful little girls that are unquestionably our own. Christmas means a lot to me now, and that is a gift that not even five golden rings could beat. 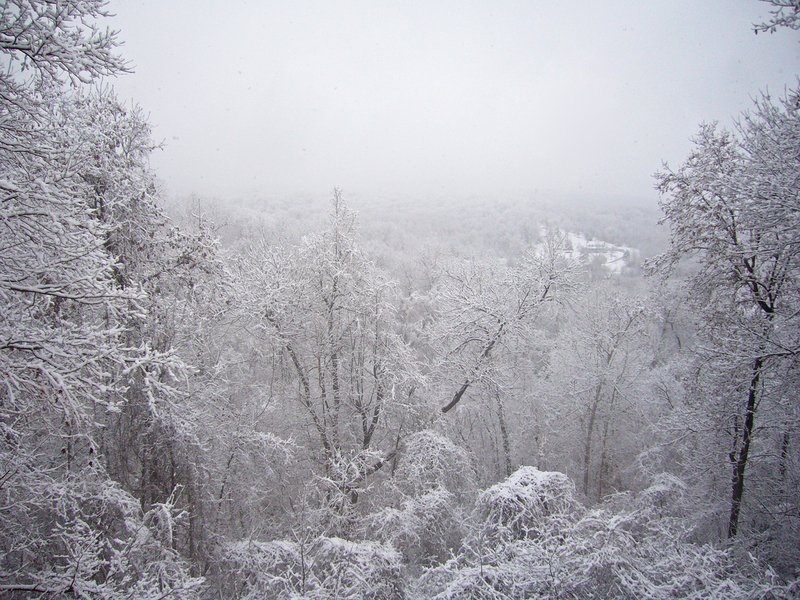 This entry was posted in [No taxon] and tagged family, holiday, introspection, landscapes, Missouri, snow. Bookmark the permalink. Merry Christmas to you Ted! Merry Christmas to you and your loved ones, Ted! This still moves me…Merry Christmas to you an your family! Beautifully written, Ted. What a wonderful way to begin Christmas Day! I love reading this story, Ted. Its potency and beauty increases each time I read it. All the best to you and your family in this holiday season! Thank you, all – Merry Christmas to each of you and your families! Beautiful story, and i love looking and reading your blog. Learning as i go about insect life. Thank you for reading, Francis. Thanks for sharing this beautiful post! Merry Christmas! Merry Chrismas to you as well, Anne! Joyeux Noël et Heureuse Nouvelle Année! Muchas gracias Delbert – lo mismo a tu y tu familia. Espero que algun dia podemos encontrarnos in el campo y recogar algunos buenos bichos!